Today’s Mazda3 has four decades worth of predecessors in the form of a station wagon or a coupe - the GLC, 323 and Protegé. Today, the 2019 Mazda3 is available as an bold hatchback or a sleek sedan. But even though the Mazda3 has seen so many changes and advancements, one thing about it remains the same: Mazda’s driving philosophy of “Jinba Ittai,” representing the harmony between car and driver. Since its debut in 2004, the Mazda3 has gone on to become the best-selling Mazda in the world, with more than 5 million sold. It’s earned the distinction of reaching 1 million sales faster than any vehicle in Mazda history. Mazda3’s success can be attributed to a variety of things. From its unbelievably engaging driving dynamics, to its award-winning design and unparalleled quality. From the first time you lay eyes on a Mazda3, to the very first turn of the steering wheel, it’s easy to see why drivers have fallen in love with it. With its class-leading features, advanced technology and safety components, you can see why drivers have kept coming back throughout the vehicle's 40 year history. In 1977, Mazda GLC, or “Great Little Car” as North American marketers anointed it, was introduced in North America. Designed in just 18 months as a response to the Oil Embargo of the 1970s, it became Mazda’s first hit, arriving at just the right time. The rear-wheel-drive subcompact featured a 1.3-liter engine with a modest but willing 53 horsepower, and was available as a hatch or wagon. The GLC was the catalyst that kick-started Mazda in the U.S., paving the way for the success of the 323, Mazda Protegé and Mazda3. In 1985, Mazda introduced the 323 as the successor of the GLC. In the years following the introduction of the “Great Little Car,” the U.S. marketing team aligned itself with Mazda’s global divisions, renaming the car into Mazda’s numerical hierarchy. The Mazda 323 was a front-wheel-drive compact car that was powered by a 1.5-liter engine, with 5-speed manual or 3-speed automatic transmission. It was originally offered as a hatchback or sedan and served as one of the entry points to the Mazda brand in North America. Perhaps the highlight of the 1980s’ 323 range was the 1988 323 GTX, a limited-edition hot hatchback, bred for rally racing. Unlike other models, the 323 GTX came exclusively with all-wheel drive, a 5-speed manual transmission and a turbocharged, 1.6-liter engine that made a punchy 132 horsepower. While that may not sound like much today, in 1988 it allowed the featherweight 323 GTX to keep up with much more powerful cars. Such is the Mazda way, focusing on finesse over brute strength, even to this day. 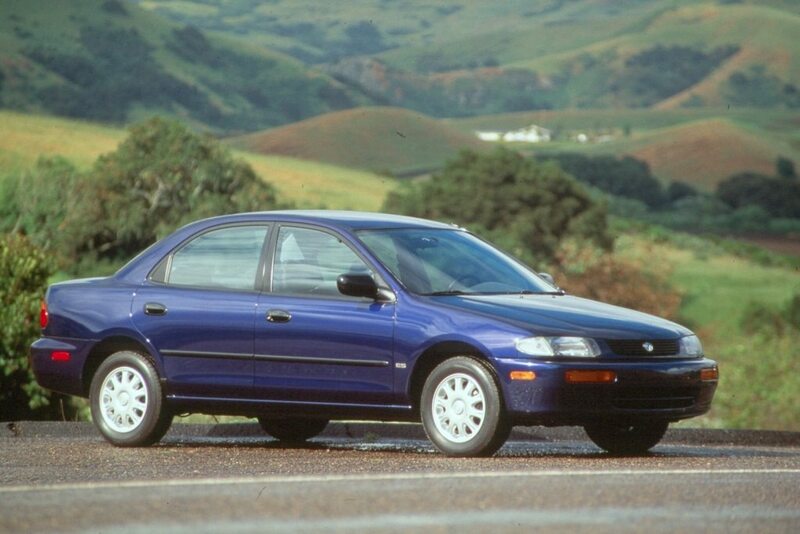 With the Mazda 323 hatchback still popular in the market, the sedan became known as the Mazda Protegé. The model line grew, available as a base SE and DX model or a top-trim LX model. 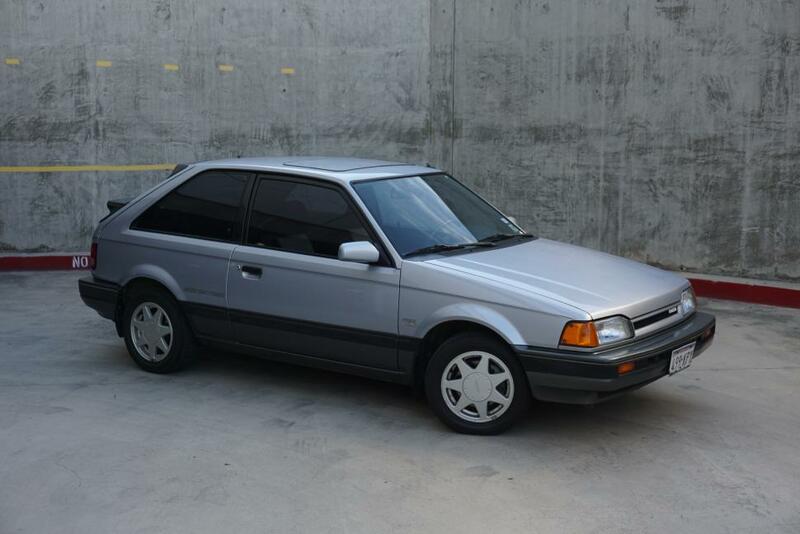 By 1995, the LX model included power windows, door locks, 14-inch wheels and an available sunroof. 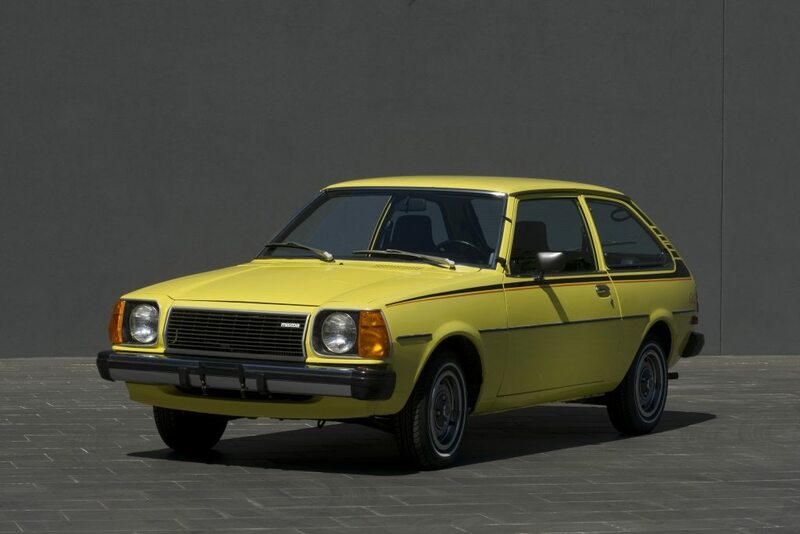 Adding power to the new standard features, the Protegé came with a 1.8-liter, 16-valve engine, along with 4-speed transmission. In North America, early models were even available with the rare option of all-wheel drive. The also-rare ES model featured the Miata’s 1.8-liter twin-cam engine, all-wheel disc brakes and dual stabilizer bars. The Protegé ES would become the basis for several concept cars throughout the end of the 1990s, including one that foreshadowed the MAZDASPEED Protegé at the SEMA Show in Las Vegas, rekindling the emphasis on driving dynamics for which the model line had become known. In 2001, the Mazda Protegé was given a facelift, revised suspension, new audio system and a 2.0-liter engine for the ES model. A limited-edition Protegé MP3 was also introduced with a sport-tuned suspension, 17-inch Racing Hart wheels, Racing Beat cat-back exhaust and a tuned factory ECU to give it a total of 140 horsepower. And, as the name suggests, it was one of the first cars offered with an in-dash MP3 music-reading CD player, foreshadowing Mazda’s readiness to provide one of its smallest cars with industry-leading features. Only 1,500 cars were produced. Two years later, that horsepower would jump to 170 horsepower with MAZDASPEED’s introduction of the turbocharged MAZDASPEED Protegé. This sportier version included a full Racing Beat suspension, 17-inch Racing Hart wheels, four-wheel disc brakes and a Kenwood stereo. A mid-year upgrade saw a new aero kit. Led by Mazda North American Operations in conjunction with Mazda performance outfitter and partner Racing Beat, the car drew rave reviews for its handling dynamics and performance, bringing Mazda’s mojo sufficiently into the 21st century. Only 4,500 MAZDASPEED Protegés were produced. 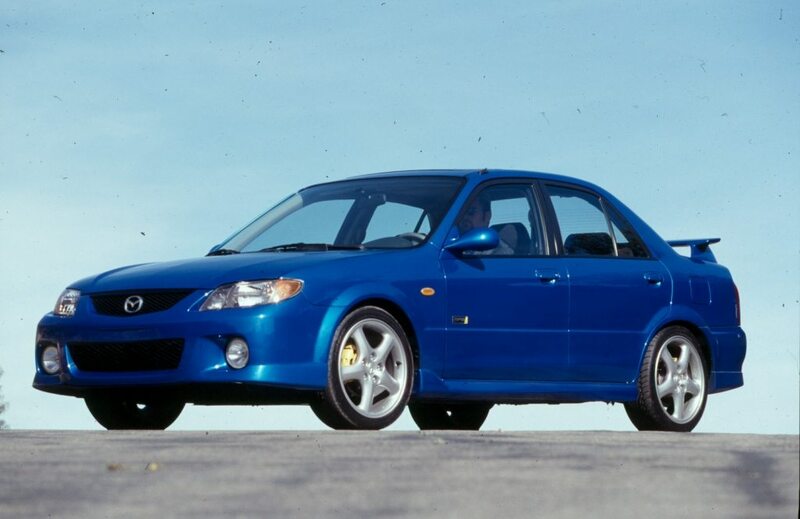 The year 2004 said goodbye to Mazda Protegé, welcoming the first-generation Mazda3. New from the ground up, the first generation Mazda3 had a long wheelbase, short overhangs and a high rear deck that formed the elegant, coupe-like proportions. Available as both a hatch and sedan it gave Mazda’s small car a uniquely stylish presence and brought Mazda’s design forward, leapfrogging its competition with a small car that didn’t scream “cheap and cheerful.” In fact, the Mazda3 was among the first cars in its class available with leather seats, and it was the first available with high-intensity xenon headlights, putting its options list on par with cars costing twice as much. Toward the end of its model life, the first-generation Mazda3 also spawned a skunkwerks performance variant from North America’s engineering team that would continue a performance legacy. Called the MAZDASPEED3, the turbocharged hatchback shared its name with Mazda’s past international motorsports team, but it ushered new life into Mazda’s portfolio of performance-focused cars that were the right fit at the right time. While a second-generation Mazda3 was introduced in 2008, it was more an evolution than a revolution, refining Mazda’s award-winning small car. It would also be the base for which Mazda to start crafting its next-generation technologies. At the tail end of the second-generation Mazda3’s model cycle, the world saw “SKYACTIV” for the first time. The sky was the limit as Mazda introduced everyone to a whole new driving experience with the Mazda3. The newly developed SKYACTIV® Technology featured a direct-injection engine and a 6-speed transmission. While it looked much the same as previous models, the SKYACTIV-equipped cars were 20-percent more efficient and significantly quicker than their predecessors. For the 2014 model year, the first Mazda3 to adopt the all-new, more rigid chassis, launched. It wore KODO: “Soul of Motion” design elements, giving the Mazda3 dynamic beauty in motion, even while standing still. It, like its predecessors, welcomed segment-firsts, including a heads-up display, radar cruise control and even available adaptive headlights, among a long list of luxury features as well. The 2018 Mazda3 is the latest incarnation of this compact sedan and 5-door. The available 2.5-liter SKYACTIV-G engine in the Mazda3 produces 184 horsepower and 185 lb-ft of torque, while still achieving EPA-estimated fuel economy up to 28 mpg city/37 mpg highway. G-Vectoring Control provides a stronger sense of unity between car and driver, resulting in greater confidence and control. The KODO: “Soul of Motion” design gives the Mazda3 a graceful, athletic form that captures the moment energy turns into movement. The interior features premium upgrades with leather trimmed seats and a more human-centric cockpit and steering wheel design. For 2019, the Mazda3 hatchback and sedan designers have reimagined what’s possible for the compact car segment. As a new era of Mazda design and engineering set the standard across the industry, a new standard is set for the entire Mazda lineup through more sophisticated, purposeful and emotive car design. Now watch Dave Coleman, Chassis Development Engineer for Mazda North American Operations, take you on an entertaining trip down memory lane with the evolution from GLC to Mazda3.